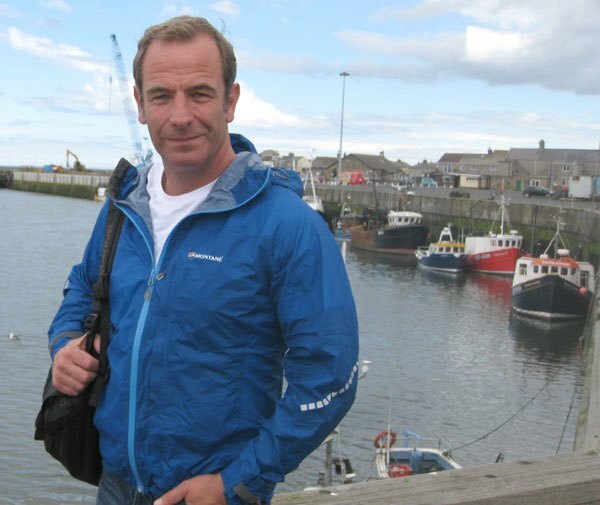 Actor Robson Green came back to Amble in August. He was filming for another television programme, “Robson Green’s Northumberland”, which will probably be shown on ITV in October. He set off with the film crew from the Radcliffe Quay, on board the Natalie Kristen, skippered by Adam Dunn. Adam took them out to the south of Druridge Bay, to join Kevin Henderson on board the coble Resolution, fishing for salmon and trout. The interest of this part of the film is in the heritage of the typical Northumbrian coble. And Kevin was most impressed by Robson’s knowledge of catching the salmon and their life history. “He made us feel like farmers!” joked Kevin. 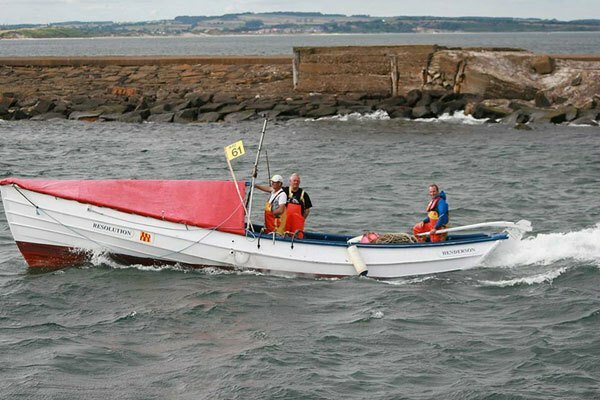 “He had been to talk to one of the older fishermen from Boulmer about the old cobles”. When they were ready to bring their catch in, Robson brought the boat back into harbour, from Druridge Bay. “We had a brilliant laugh”, said Kevin. “He was just like one of the lads. We all enjoyed it”. Robson’s new series is called ‘Tales from Northumberland – with Robson Green’ . The eight part series journeys through natural and historical aspects of our wonderful county, from the wild open seashore to the rugged and lonely hills. The series will be broadcast on Mondays at 8pm on ITV1. A little birdy says Amble will feature in the fifth programme.